¡Natalicio de Benito Juárez e inicio de primavera! Celebrate the music and imagery of alternative Mexico with a free, all-ages concert in the Hammer Museum courtyard. 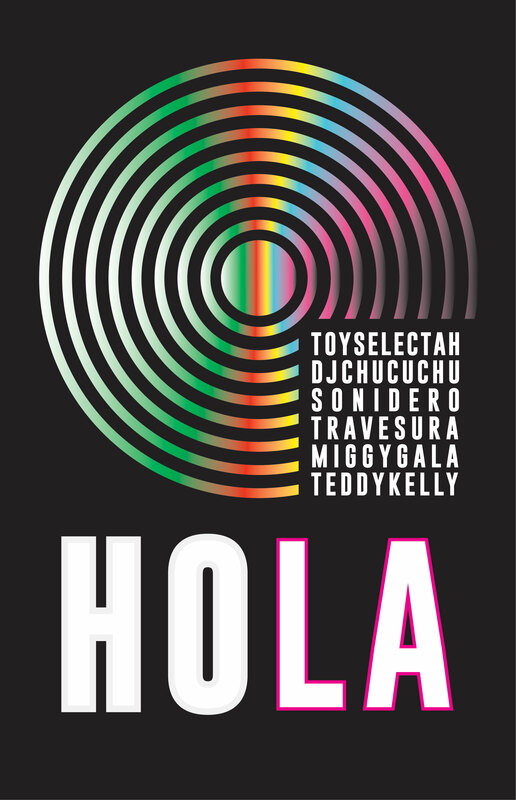 Sabrosonico features Toy Selectah (Monterrey), Nortec Visual Collective veteran and electropical pioneer DJ Chucuchu (Tijuana), futurist fusion masters and Digital Tiger duo Sonidero Travesura (Tijuana), and award-winning illustrator Teddy Kelly (Mazatlán/Los Angeles). A native son of Monterrey, Mexico, Toy Selectah (Mad Decent/ Bersa Discos) is the mix-master behind the turntables and sampler console that mixed Mexican soundscapes with contemporary urban beats to create a whole new hybrid sound. He is also a pioneering member and founder of the Spanish Hip-Hop group known as Control Machete. For over 10 years, he has been appropriating the rural rhythms of Colombian-Mexican Cumbia, hip-hop, breakbeats, and reggae, creating his own trademark sound, live sound system, and band called Sonidero Nacional. Toy Selectah has traveled the world extensively during the last five years, becoming one of the most active Mexican DJs on the global scene. Dardin Coria and Omar Lizarraga formed the duo Sonidero Travesura in 2008. Their unique sound, for which they coined the term Digital Tiger, is a blend of worldbeats, pop, tropical, spacerock, electro, punk, jazz, and noise. Their performances combine eclectic world music with hypnotic synthesizers and a powerful rhythm section, creating an irresistible tropical party for head and feet. 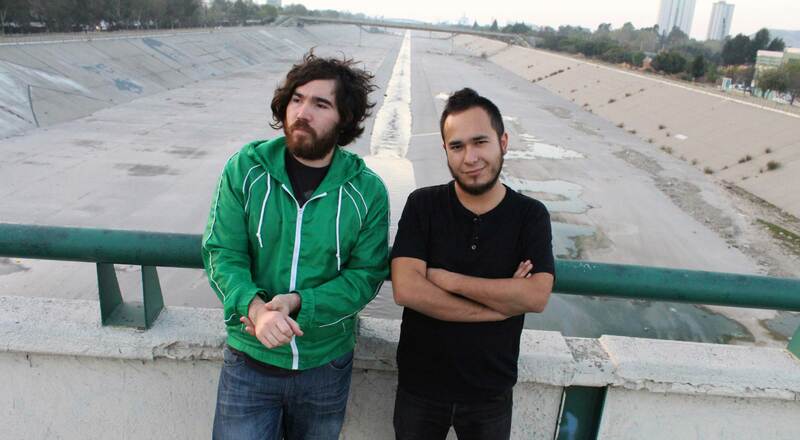 Playing in venues as diverse as stadiums, nudist beaches, strip clubs, and contemporary art museums, the duo has performed in cities such as Veracruz, Oaxaca, San Diego, Los Angeles, Austin, Guadalajara and Mexico City. In the course of completing a long play album, three national tours and one international tour, Sonidero Travesura has matured and established a world class sound. Dubbed a “mix-master of chaos” by Newsweek, DJ Chucuchu possesses a chameleonic ability to jump between music genres. A pioneer of the hybrid “Electropical” music genre, he remixes global rhythms (Cumbia, hip-hop, reggae and more) with innovative electronic beats. 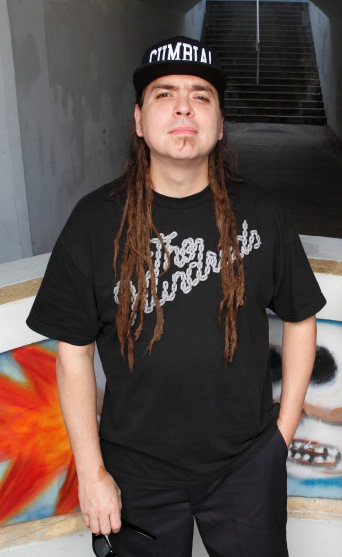 He has participated in international music festivals such as First Night Festival in Sidney and Big Day Out in cities across Australia and New Zealand, and has shared the stage with such music personalities as Lee “Scratch” Perry, Margarita “La Diosa de la Cumbia,” Mad Professor, El Tri, Celso Pina, Los Fabulosos Cadillacs, Molotov, and Nortec. 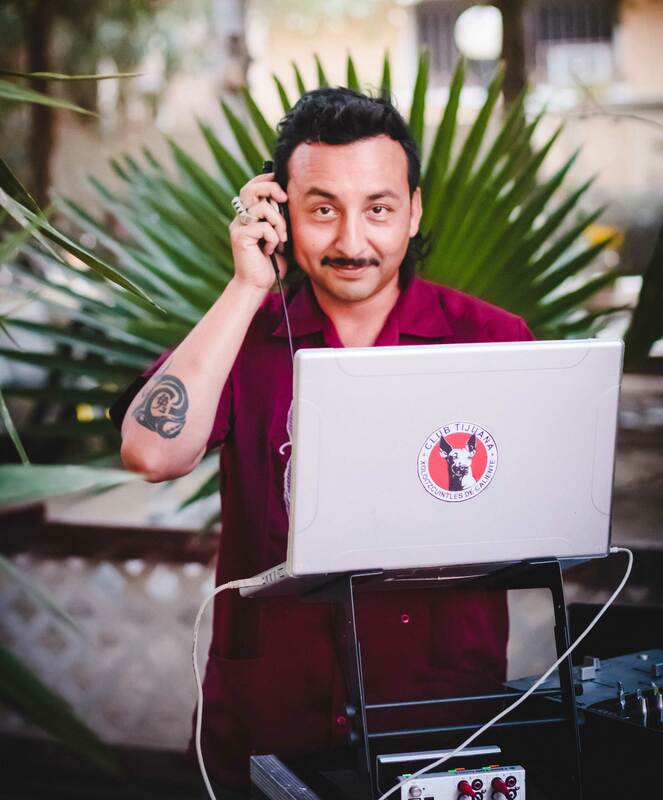 While remaining a fixture in the clubs and bars of Mexico City, Tijuana and Guadalajara, DJ Chucuchu brings his infectious rhythms to cities across the United States and Europe. Artist and illustrator Teddy Kelly was raised in Mazatlan, Mexico, by parents from Irish/Swiss backgrounds. He has been creating art since he could pick up a pen, drawing influence from both the Disney characters he would see during childhood visits to the United States and his perspective of the immigrant-influenced culture of his hometown. While attending San Diego City College, Teddy Kelly was awarded honorable mention for illustration by the American Institute of Graphic Arts. His work has been featured in international exhibitions alongside works by fine artists and skate art icons that have inspired him throughout his life.